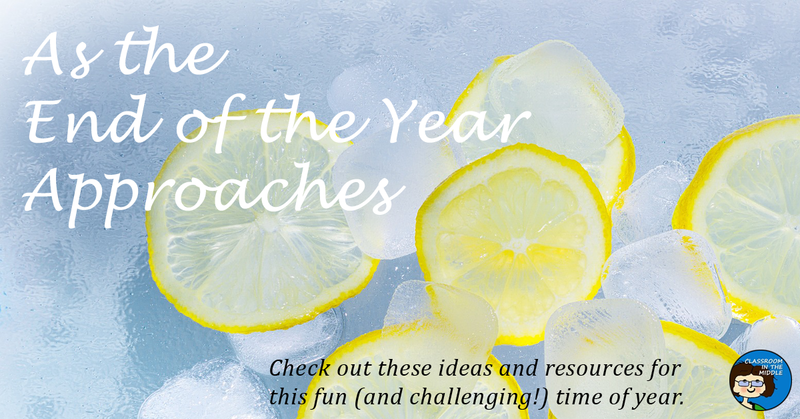 Maybe it’s too early to start writing your “lesson plan” for the last day of school, but that doesn’t mean that teachers (and kids) aren’t already thinking about it! It’s never to early to daydream a little about the end of the school year – or to start stashing away great ideas for those last days and weeks of school. Anywhere But in School – My guest post for Student Savvy is all about engaging classroom activities for this in-between season when it’s not really the end of school yet, but the kids are all thinking about it. Spring Word List – This post contains a big list of spring-themed words, useful for lots of games and activities. 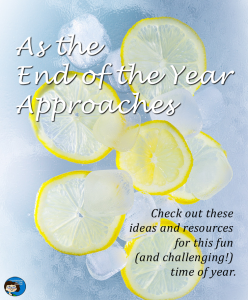 What to Do About the Summer Slide – Read about ready-to-use, take-home resources for summer review. So, enjoy these last months or weeks with your kids, and enjoy the thought of some lazy summer days to come!